With playmats from playmatt you can enjoy a creative journey. You can choose between various motives and even combine them to create the perfect playground. Doesn’t matter if it’s a farm, a flowery meadow, some urban street or even an idyllic island in the ocean. Your imagination is the only limitation. Our playmats come in the size of 55cm x 55cm,fits to an IKEA LACK Table, are extensible and can be combined. Register now for free news and updates! 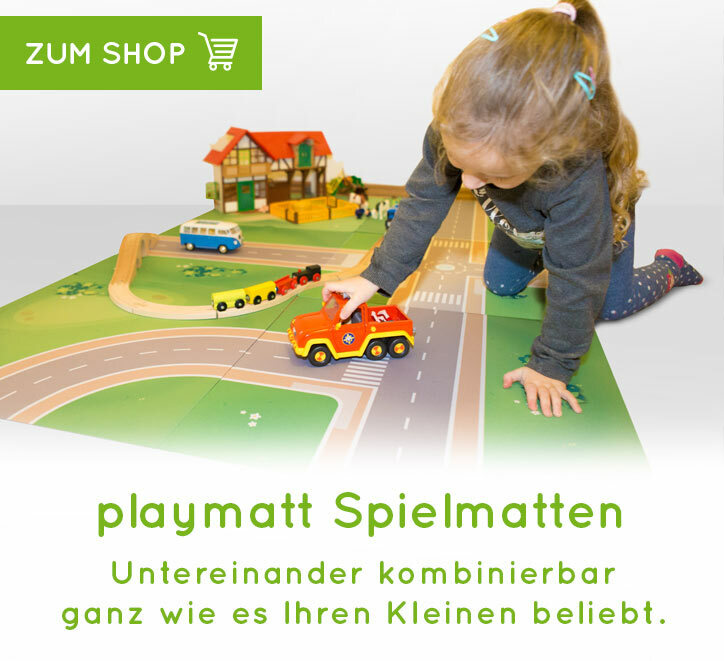 playmatt - Quadratische Spielwelten • High-quality playmats for all toys like PLAYMOBIL®, Schleich®, Brio, Haba, Lego®, LEGO® DUPLO®.